The purpose of medicine is “to heal the sick and relieve suffering.” However, specialization and the rapid rate of advancement of knowledge and technology draw the attention of students and teachers away from the central purpose of medicine. In this day and age, patients complain that doctors treat them as inanimate objects to be analyzed by a computer. Patients want time, conversation, and physical contact with the physician. Who has time these days to converse with a patient? Medicine requires scientific knowledge and good bedside manners, but knowledge alone is not enough to practice good medicine. You need both– knowledge and good bedside manner-to practice good medicine. I believe that good bedside manners are the essence of the art of medicine. Medical schools are discovering that teaching the arts to medical students helps them sharpen their observational skills and teach them to be more empathetic. Empathy is “the ability to be aware of the feelings and emotions of other people.” Empathy is not the same as sympathy which is “feeling for someone.” You need empathy to understand patients. The arts help make medical students become more thoughtful and listen carefully to a patient's narrative of his/her symptoms, and this allows doctors to make a more informed diagnosis. Open communication between the doctor and patient helps the patient to understand his illness and comply with treatment. Medical schools teach students how to diagnose diseases and select optimal methods to treat diseases, but such knowledge alone is not sufficient to be a good doctor. One needs good bedside manners. Medical schools are increasingly turning to the visual arts to help them improve physician performance. Patients bring fear, anxiety, and self-pity into the examination room. It has always been the doctor's responsibility to calm their fears and provide hope. The consummate physician has a bedside manner that is humane and compassionate, empathetic, and supportive. The visual arts can help medical schools turn out more accomplished physicians. Many medical schools now have art programs through which they teach students observational skills and better bedside manners. A course in the arts can help medical students grapple with uncertainties which are an essential part of medicine. 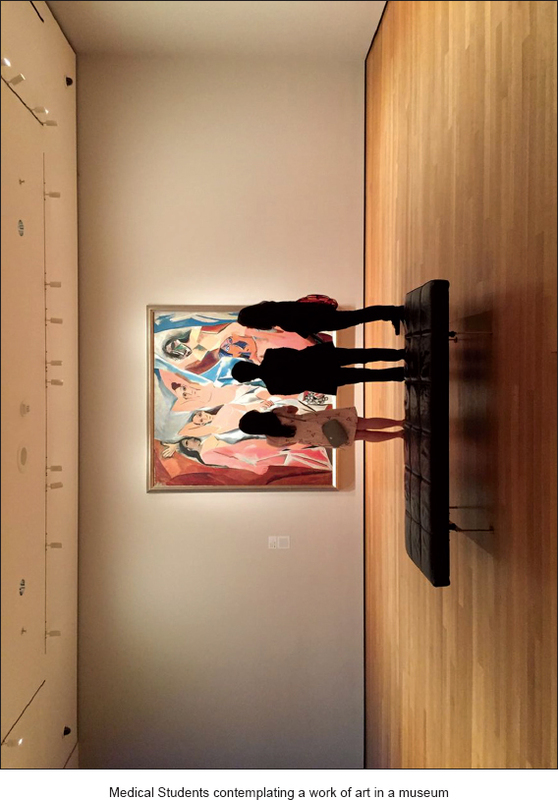 Studying art can help medical students think broadly and entertain various possibilities before settling on a final interpretation.